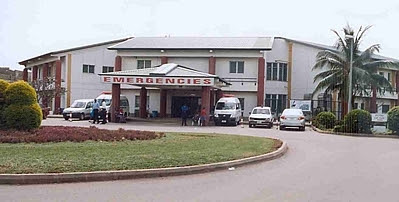 A 26-year-old domestic worker, Ubong Etu Nbomang, injured his spine while peeping at his female boss while she was having her bath and he has since been hospitalised at the Federal Medical Centre, Asaba, Delta State, after the accident. Reports claim that the houseboy allegedly made holes around the bathroom door, through which he peeped at his boss whenever she had a shower. It is further reported that Nbomang had climbed on a platform to have a better view of his boss who is in her 30s. A female friend to Nbomang’s boss, was said to have walked into the sitting room but there was no one there,so when she heard the sound of dropping water, she approached her friend’s bathroom out of curiosity, only to find the young man peeping. The boss’s friend, said as Nbomang was peeping, he held his private organ. While she talked to her friend, Nbomang who was still groaning in pains, asked his boss to forgive him and take him to hospital. His boss confirmed that she was going to sack him.